Angry Birds Space has been released, arriving in the App Store for iPhone and iPad. 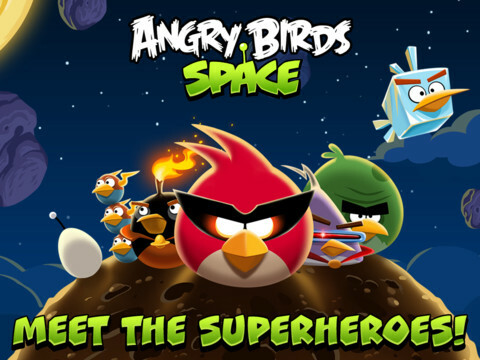 The new game is the latest in the ever-popular series of bird-flinging smartphone and tablet games, and perhaps the most ambitious, with developers Rovio Mobile hooking up with NASA to announce the title in space. The game sees the eponymous birds shift into space, with sixty levels spread across both planets and in zero-gravity situations. That should add an interesting twist to the existing style of gameplay, with Rovio saying players will be able to do trick-shots using different gravity pulls, among other things. There are also new birds and new superpowers, along with hidden bonus levels – including an anti-cyberbullying level - and new in-app purchase content. That will include 30 extra levels as part of the DANGER ZONE pack, billed by the developers as the “most difficult levels ever. You can grab Angry Birds Space for iPhone, iPod touch and iPad here [iTunes link], priced at $0.99, while the HD version is available for download here for the iPad, priced at $2.99. The Android Play Market listing is yet to go live, but we’ll update when we spot it. Update: The Android version is here, and in keeping with previous iterations of the game it’s free with adverts.